The City of Avondale Estates hired contractor HEH Paving to pave four roads throughout the City beginning on Monday, October 24. The following roads will be paved during the project: North Clarendon Avenue from North Avondale Road to Old Rockbridge Road; Berkeley Road from Clarendon Avenue to Dunwick Drive; Lakeshore Drive from Hess Drive to the dead-end of Lakeshore Drive; and Hess Drive from Wiltshire Drive to the cul-de-sac. Weather permitting the project should be completed by November 24. Travelers are advised delays may result. 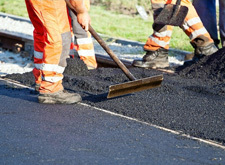 View a schedule of the paving project on the City’s website here.